Giovannella has been practicing cross-border transactions and advised public and private clients in relation to their regulatory and business activities in the international arena. After working in Brussels at the EC Commission she then joined Byrne & Partners (now Dorsey & Witney). From July 1996 till 2002 she worked in London at the corporate and project department of LeBoeuf, Lamb Greene & MacRae (now Dewy LeBoeuf). 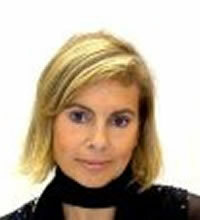 From 2004 she is founding partner of the International Law Firm B-Legal with offices in Rome and Milan. In particular, Giovannella has gained wide experience internationally representing governmental and/or private clients active in the energy (including renewable projects) and in the utilities sector in general (water, gas, electricity and transport) in all aspects of their activities. Giovannella speaks English, French, Spanish, Portuguese and Italian. She is ranked as a top lawyer in Europe on climate change matters by Chambers Europe (2008).